The United Nations Force Intervention Brigade is a military formation which forms part of the United Nations Organization Stabilization Mission in the Democratic Republic of the Congo (MONUSCO). It was authorized by the United Nations Security Council on 28 March 2013 through United Nations Security Council Resolution 2098. The FIB is the first United Nations peacekeeping formation specifically tasked to carry out targeted offensive operations to neutralize armed groups that threaten State authority and civilian security, with or without the Forces Armées de la République Démocratique du Congo (the Congolese Army), against armed groups that threaten peace in the eastern DRC. The brigade is based in North Kivu and is made up of a total of 3,069 peacekeepers. The brigade consists of South African Army, Tanzanian Army, and Malawi Defence Force infantry battalions, Tanzanian artillery, and special forces. It was first headed by General James Aloizi Mwakibolwa of Tanzania. Mwakibolwa had had previous experience in the region. He served as commander of the Military Assessment Team of the International Conference on the Great Lakes Region (ICGLR) in October 2012 to assess the military situation in eastern DRC and come up with a concept of operations. Mwakibolwa handed over command to his successor in April 2014. The FIB was slow to get started. First on the ground was a company of the South African Battalion who were stationed in the Muningi Base just outside Goma. Commanded by Major Vic Vrolik, the company was involved in skirmishes with a group of Mai-Mai rebels on 10 July 2013. They were then under siege in the base as the M23 Rebels shelled Goma and shot artillery, 120mm Mortars and B10 or SPG-9 rockets at the FARDC tanks and soldiers who took shelter behind the UN base. Govender's Ridge, Kiwanja. 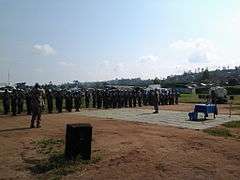 In late September 2014, with the assistance of the Force Intervention Brigade, troops from the FARDC drove the M23 rebel faction to the Ugandan border and forced what has been effectively their total and unconditional surrender. The Indian Army Battalion assigned to act in a supporting role, refused to fight and sealed themselves into their armoured vehicles. Kitchanga. In May 2014, SANDF soldiers stood their ground against APCLS and defended their position. In December 2014, media reports supported Human Rights Watch' contentions about massacres in the Beni, North Kivu region. Human Rights Watch said that unidentified rebels killed more than 180 civilians in the eastern DRC from September to December 2014. The FIB's non-engagement of these attackers has been severely criticised. The UN head of mission in the DRC, Martin Kobler, conceded that the FARDC has "little appetite" to carry out missions against these perpetrators. A Major from the Tanzanian battalion of the FIB was killed on 28 August 2013 by mortar fire from the M23 militia group near Kibati Hills, just outside Goma. 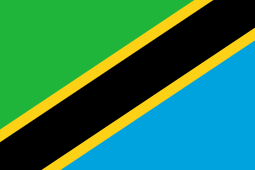 Three Tanzanians and two South Africans were also wounded in the same incident. A memorial service was held by members of the brigade to honour his passing. 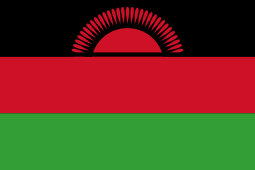 On 27 October 2013, Lt Rajabu Ahmed Mlima, of the Tanzanian Army Special Forces, was killed in action on Govender's Hill, just east of the town of Kiwanja. He was part of the Quick Reaction Force of Task Group Alpha of the Brigade. He was killed during a fire-fight between elements of M23 and the combined South African and Tanzanian QRF. Brig Gen James Aloisi Mwakibolwa, FIB commander, addresses Officers of the FIB at Kiwanja a few days prior to the combat which cost Lt Mlima his life. Troops on Parade during a memorial for Lt Mlima. There were South African Army, Tananian Army and Indian Army soldiers on parade. 1 2 3 4 5 "Tanzanian troops arrive in eastern DR Congo as part of UN intervention brigade". United Nations. 10 May 2013. Retrieved 8 September 2013. ↑ "United Nations Security Council - Resolution 2098" (pdf). 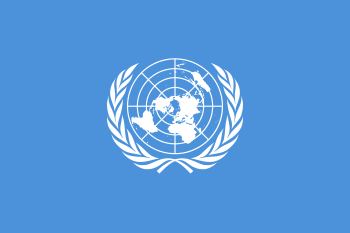 un.org. New York: United Nations. 28 March 2013. Retrieved 4 December 2014. ↑ "Last batch of Tanzanian troops now in Goma for the Force Intervention Brigade". MONUSCO. 12 June 2013. Retrieved 8 September 2013. ↑ Raghavan, Sudarsan (1 November 2013). "In volatile Congo, a new U.N. force with teeth". WashingtonPost.com. The Washington Post. Retrieved 28 September 2014. ↑ Olivier, Darren (29 August 2013). "The FIB Goes To War". African Defence Review. African Defence Review. Retrieved 25 September 2014. 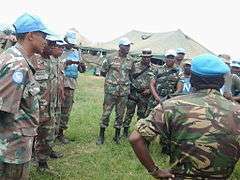 At 07h50 yesterday morning, the Force Intervention Brigade (FIB) of the United Nations peacekeeping force in the Democratic Republic of Congo (MONUSCO) fired the opening shots of the first ever direct attack on rebel forces in UN peacekeeping history. ↑ Stupart, Richard. "The Last Days of M23". AfricanDefence.net. AfricanDefence.net. Retrieved 25 September 2014. It was an assault that few DRC cynics thought possible. ↑ Olivier, Darren (30 October 2013). "How M23 was rolled back". AfricanDefence.net. African Defence Review. Retrieved 25 September 2014. ↑ Raghavan, Sudarsan (27 September 2014). "In Congo, trapped in violence and forgotten". WashingtonPost.com. The Washington Post. Retrieved 28 September 2014. ↑ Olivier, Darren (1 May 2014). "Casualties in APCLS attack on MONUSCO/FARDC positions". Africandefence.net. African Defence Review. Retrieved 24 September 2014. ↑ Stupart, John (6 March 2014). "Squaring Up Against the ADF". AfricanDefence.net. African Defence Review. Retrieved 25 September 2014. 1 2 "DR Congo: Scores Killed in Rebel Attacks". hrw.org. Human Rights Watch. 16 December 2014. Retrieved 21 December 2014. and SAPA (16 December 2014). "Rebels kill more than 180 civilians in eastern DRC: rights group". timeslive.co.za. Sunday Times. Retrieved 21 December 2014. 1 2 3 4 Hofstatter, Stephan; Oatway, James (6 December 2014). 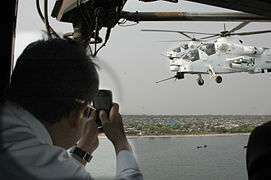 "UN fails to halt DRC reign of terror". Timeslive.co.za. Photographs by James Oatway. Beni, North Kivu, Democratic Republic of the Congo: Sunday Times. Retrieved 21 December 2014. 1 2 3 Hofstatter, Stephan; Oatway, James (22 August 2014). "South Africa at war in the DRC - The inside story". Sunday Times (South Africa). Retrieved 22 September 2014. ↑ "UNITED NATIONS DEPUTY SPECIAL REPRESENTATIVE OF THE SECRETARY GENERAL RULE VISIT OF LAW TO NORTH KIVU BRIGADE SPECIFICALLY THE MPATI AREA". Department of Defence. 3 March 2012. Retrieved 25 September 2014. ↑ "5 South African Infantry Battalion Deploys to DRC". African Defence. African Defence. 14 May 2014. Retrieved 25 September 2014. ↑ "Rwandan Special Forces Within M23 Rebels Kill a Tanzanian Peace Keeper in Eastern Congo". AfroAmerica.net. AfroAmerica.net. 29 August 2013. Retrieved 25 September 2014. ↑ Hubert, Thomas (29 August 2013). "A Tanzanian officer has died". france24.com. France24.com. Retrieved 25 September 2014. A Tanzanian officer was killed, three other Tanzanian soldiers were wounded and two South Africans were also wounded,” Madnodje Mounoubai, the spokesman for the UN peacekeeping mission MONUSCO, told FRANCE 24. ↑ "DRC rebels kill Tanzanian soldier". sabc.co.za. 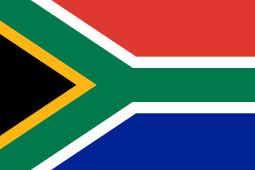 South African Broadcasting Corporation. 29 August 2013. Retrieved 25 September 2014.